An Ondo state High Court sitting in Akure has sentenced Seidu Adeyemi to die by hanging for killing Khadijat Oluboyo, daughter of former deputy governor of Ondo State. 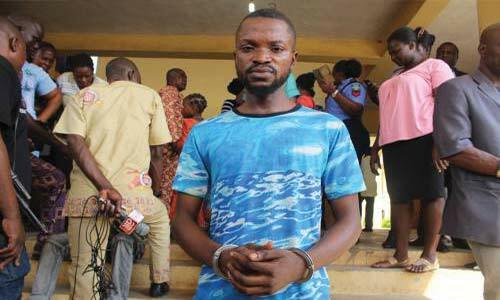 Adeyemi was charged for killing his girlfriend, Khadijat Oluboyo, on July 2, 2018 and burying her inside his room at Aratusi, Oke-Aro area of Akure. Khadijat was a final year student of Adekunle Ajasin University in Akungba Akoko (AAUA) until her death.